Dr. Barry Crowe is a thoracic and cardiac surgeon from Opelika, Alabama. He graduated from the University of Alabama School of Medicine and continued his studies with a residency in general surgery at the Caraway Methodist Medical Center. 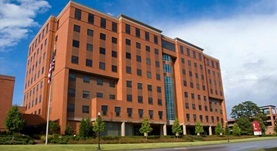 His fellowship in thoracic surgery was completed at St Louis University School of Medicine. Mr. Crowe is a board-certified specialist in thoracic and cardiac surgery and also a fellow of the American College of Surgeons. He is currently affiliated with the East Alabama Medical Center.